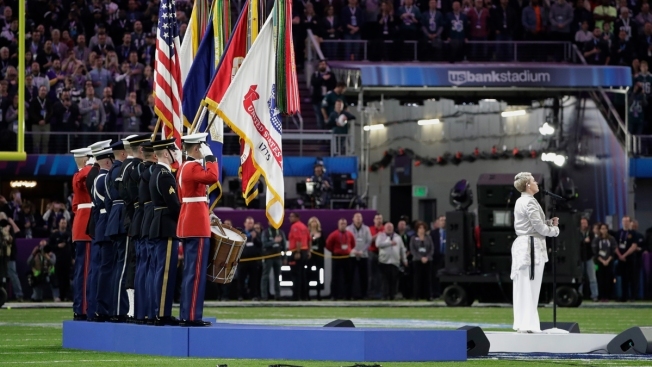 Pink belted out the "Star-Spangled Banner" before Super Bowl LII's kickoff while battling the flu. And, well, it didn't sound like the singer was sick at all. That could've also been thanks to a lozenge that Pink was seen spitting out seconds before she started singing. Many viewers assumed that she threw out a piece of chewing gum before Pink tweeted: "It was throat lozenge." Before the performance, Kelly Clarkson said she wasn't not worried about Pink nailing the anthem despite having the flu. Pink performed sick at a concert Friday in Minnesota and said it's easy to become under the weather when you're a mother of two children.